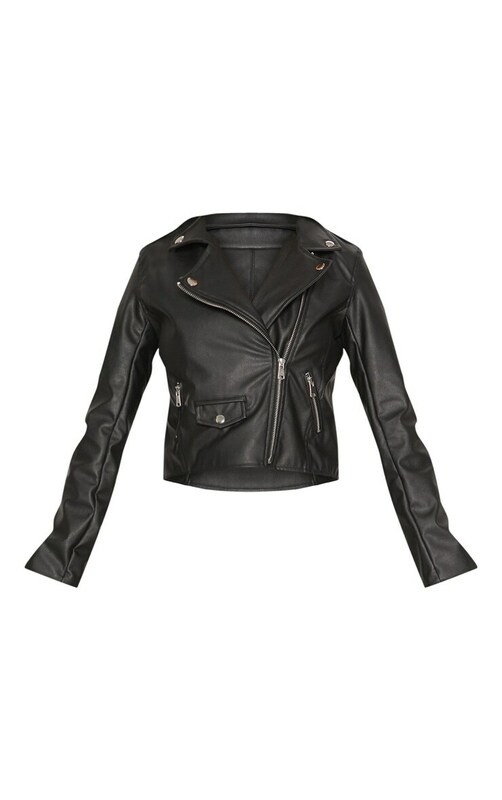 Look like the ultimate biker chick in this biker jacket. Featuring a black PU material with long sleeves, this biker jacket is a total wardrobe staple. Go all out and team this jacket with the faux leather black pants for a serious killer look.